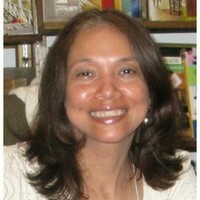 I am a trauma informed focusing oriented psychotherapist, trainer, educator, and a writer. I have been practicing psychotherapy for more than thirty years, providing individual, family and group psychotherapy to children, adolescents and their families in diverse inpatient, and outpatient settings, college mental health settings, and private practice. I have trained in various evidence based psychotherapies, such as Solution Focused Therapy, Interpersonal Psychotherapy, Cognitive Behavioral Therapy (CBT, REBT), and Eye Movement Desensitization Reprocessing (EMDR). I have received training in mindfulness and acceptance based practices such as Dialectical Behavior Therapy (DBT), Acceptance Commitment therapy with Steven Hayes (ACT) and Mindfulness Based Stress Reduction with Jon Kabat-Zin and Saki Santorelli. My Focusing Oriented Psychotherapy practice has been influenced by my meditation practice, which has been strengthened through consistent study, daily practice and meditation retreats. My interest in attachment, emotion, and body-based experiential therapies has led me to receive further training in Emotion Focused Couples Therapy (EFT) and Accelerated Experiential Dynamic Psychotherapy (AEDP) both of these theories integrate Focusing. Presently, I am an Associate Professor at the Touro College Graduate School of Social Work where I teach Clinical Social Work Practice. I am a psychotherapist, a poet, a writer and value the use of expressive arts for healing. I provide groups and workshops on healing and writing, narrative medicine in social work practice, creative and visual journaling, as well as Narrative Medicine to inform the practice of caring professionals. My approach is supportive, compassionate, and trauma-informed. I integrate somatic approaches and mindfulness. I draw from experiential and body-centered therapies that teach us that we are all wired for growth and healing. I provide psycho-educational workshop on a variety of issues: An Introduction to Focusing (El Focusing, La Pausa), Dreams (Significado de los sueños), Narrative Medicine (La Narrativa como Medicina), and psycho-educational workshops on Cognitive Behavior Therapy (CBT – La Terapia Cognitivo-Conductual), Dialectical Behavior Therapy (La “Terapia Dialéctica Conductual” cuyo acrónimo (DBT) and Acceptance Commitment Therapy (Acceptación y el Compromiso ACT). Special interest include trauma, grief, loss and life transitions.